it protects clothing outside of the wash from the accumulation of bad odors on clothes. How could you express one or the other benefit creatively in a print ad? 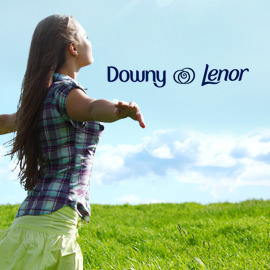 Create an impactful print ad that brings to life how Lenor/Downy protects fabric OR prevents bad odors from clinging to clothes and neutralizes them. The idea is NOT to find a way to combine these two benefits into one print. Just pick ONE benefit. Send us your poster by May 24th and get in line for the €2.500 prize pool! Good luck and hurry! This is an Express contest! Do not miss the opportunity!